Detail from E of possible remains of hut at entrance to goods yard. General view from SE of bridge deck with central girder and station site. General view from SE of bridge decking and station site. The station building was situated on the up (SW) side (Edinburgh) of the trackbed. All that survives is the base of the rear wall and a brick built plinth. 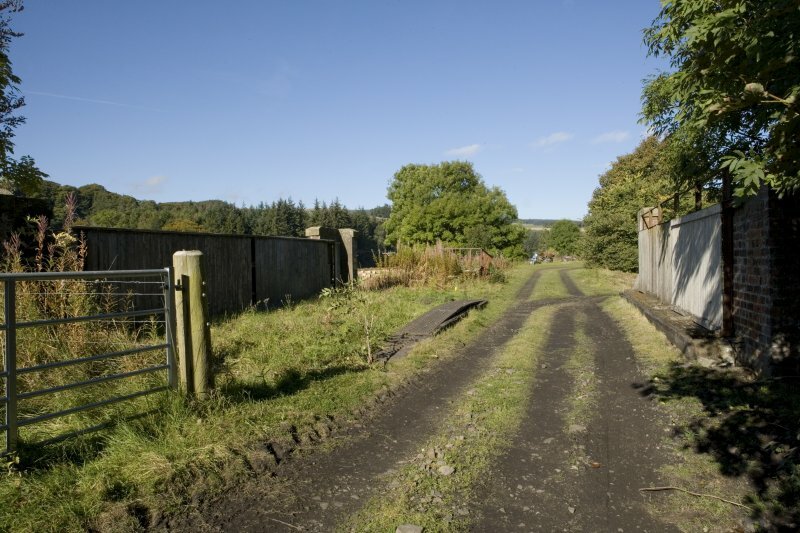 On the S side of the B710 road between the overbridge for the railway (NT44SE 28.08) and Bowland Bridge (NT44SE 24) is a short length of what may be the original wooden boundary fence for the station. The former goods yard retains one wooden building and kerb stones. 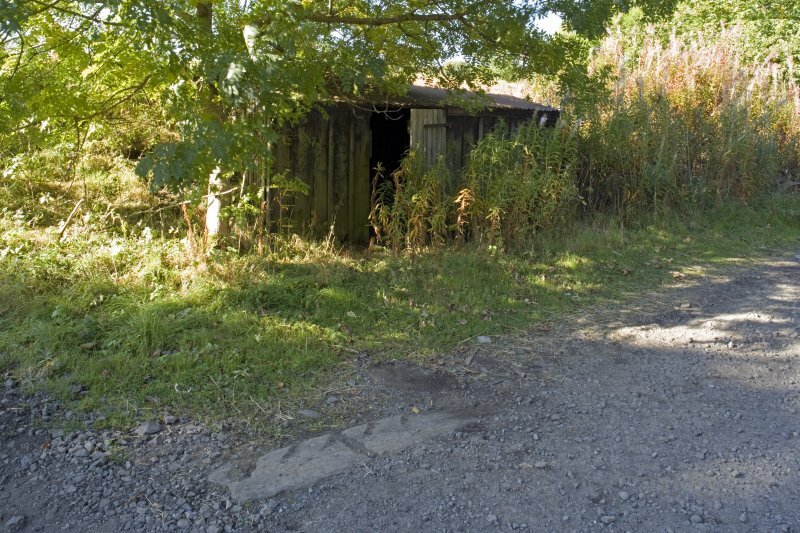 The Object Name Book of the Ordnance Survey (ONB) describes 'Bowland Railway Station' as ' A very small wooden building erected by the North British Railway Company for the accommodation of passengers adjacent to Bowland Bridge (Name Book 1852). 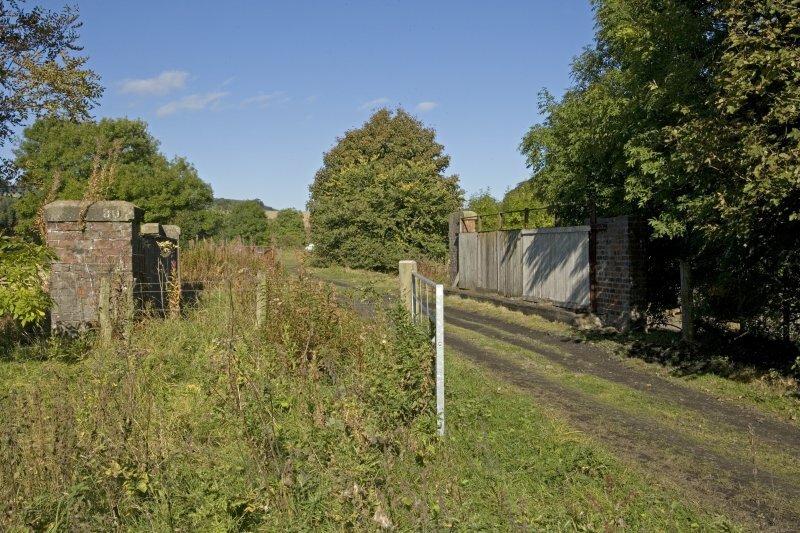 Known originally as Bowland Bridge between 1848 and 1862, Bowland Station was opened along with the rest of the Edinburgh to Hawick Branch railway between 1848-1849 to serve a small group of houses at Bowland. It is depicted on the various dates/editions of the OS maps with two platforms and a small building on the down (Edinburgh) side of the line. A ramp for passengers led from the S side of the B710 public road up to the down side platform. A small building is shown at this location on the current OS 1:2500 scale digital map. The station was closed on 7th December 1953 and the railway closed in January 1969. North British Railway, Edinburgh to Carlisle line. Station opened 04/08/1848, closed 07/12/1953.